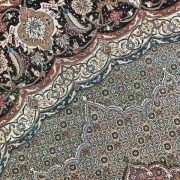 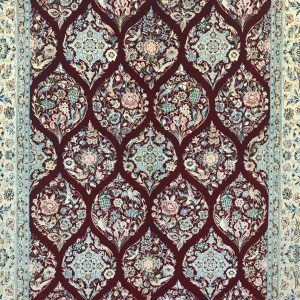 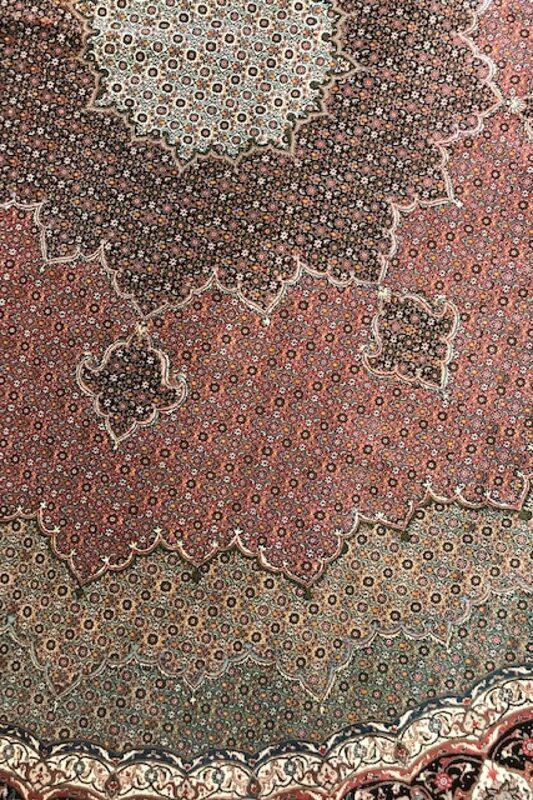 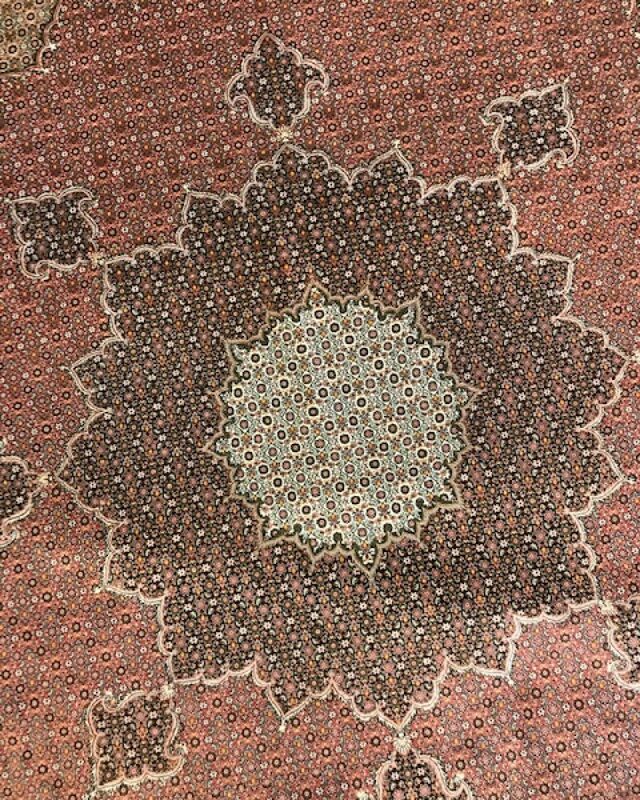 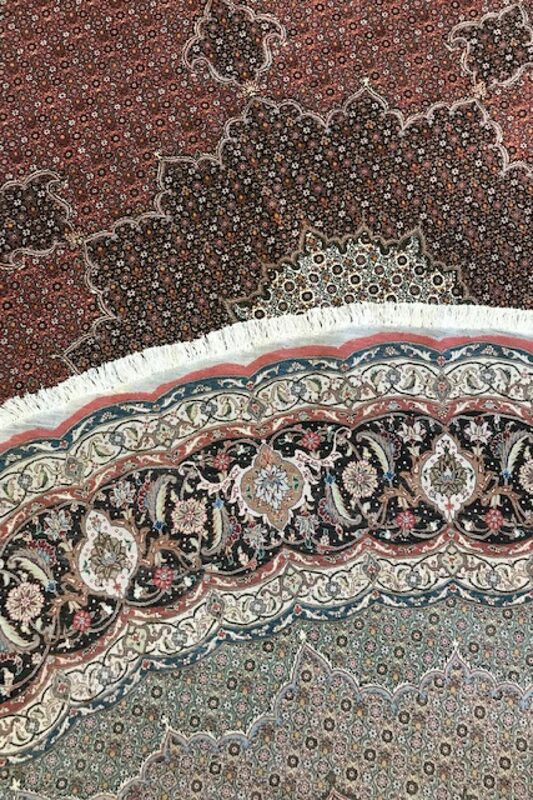 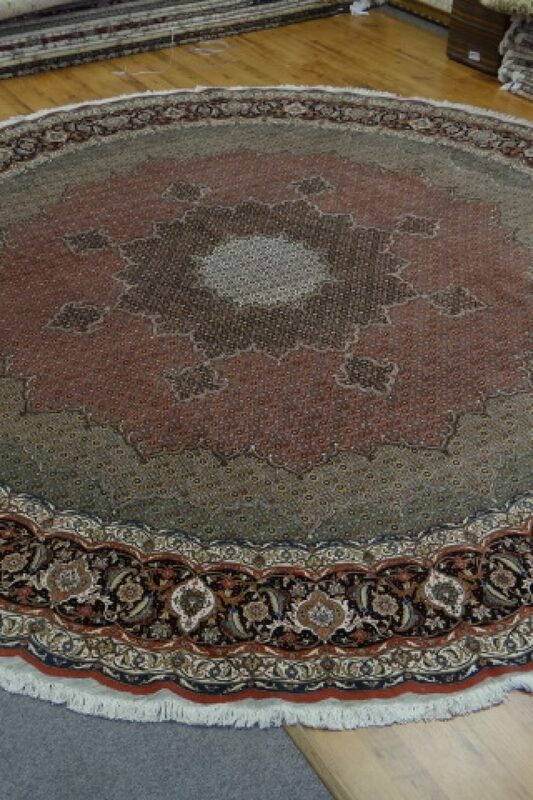 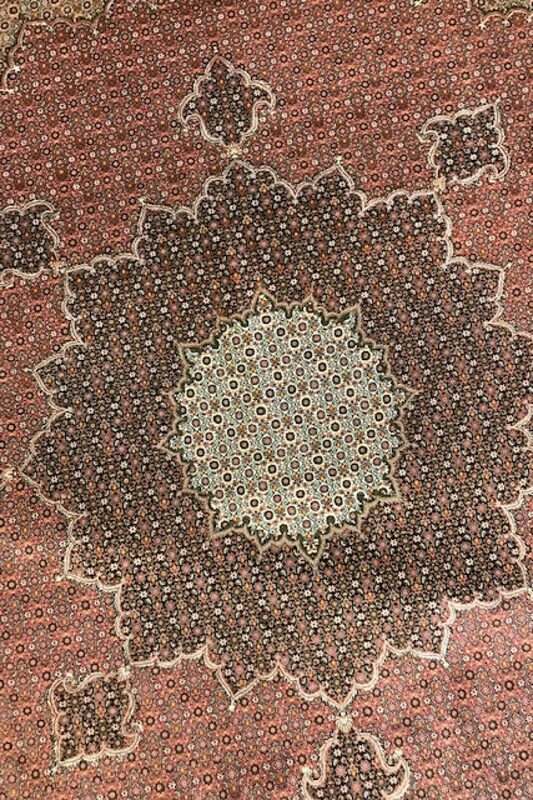 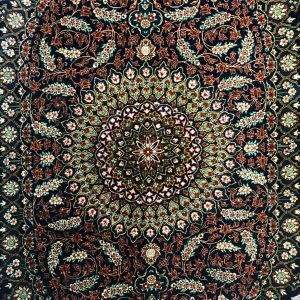 An exquisite hanmade Tabriz Mahi Maralan design rug handmade in Iran. 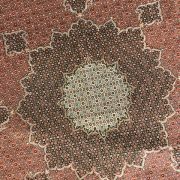 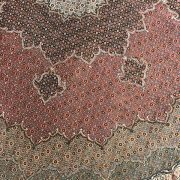 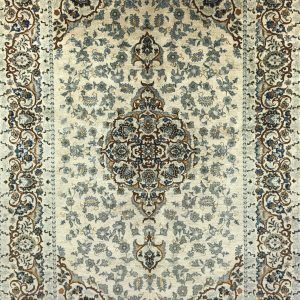 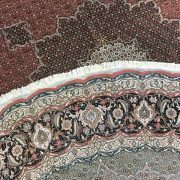 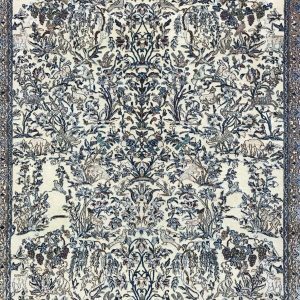 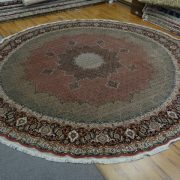 This rug features a wool and silk pile on a cotton foundation. 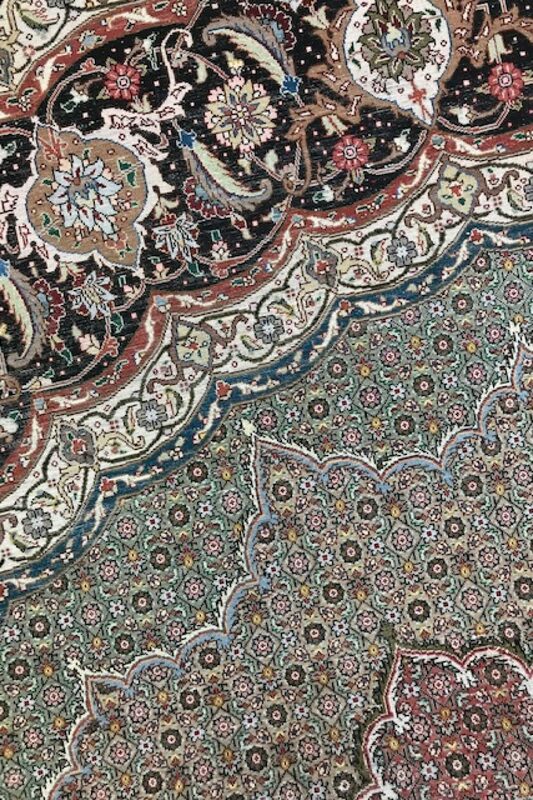 60 lines.